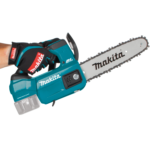 I’ll start out by saying that I’ve been waiting for Makita to make another 12V chainsaw all the while Bosch currently has a 12V chainsaw on the market right now and it’s been out for a while with their Bosch NanoBlade EasyCut 12 12V Chainsaw. 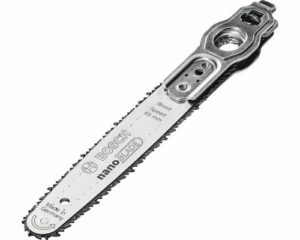 Unlike Makita’s original 12V chainsaw that used a normal’ish sized bar and chain however very short at only 4.5 inches to compensate for the available 12 volt power, Bosch’s chainsaw uses a puny little bar and chain. Do you guys remember the Micro Machines cars from back in the 90’s? It’s as if Bosch micro-machined the chainsaw bar and chain to an unbelievable small size. They don’t give actual bar and chain lengths but they say it has a 45mm cut depth which equates to 1.77 inches which is enough to cut through a 2×4 with barely any room to spare. The miniature bar and chain is an actual bar with mini teeth on a chain and it actually works like normal sized chains – an incredible feat in my opinion. 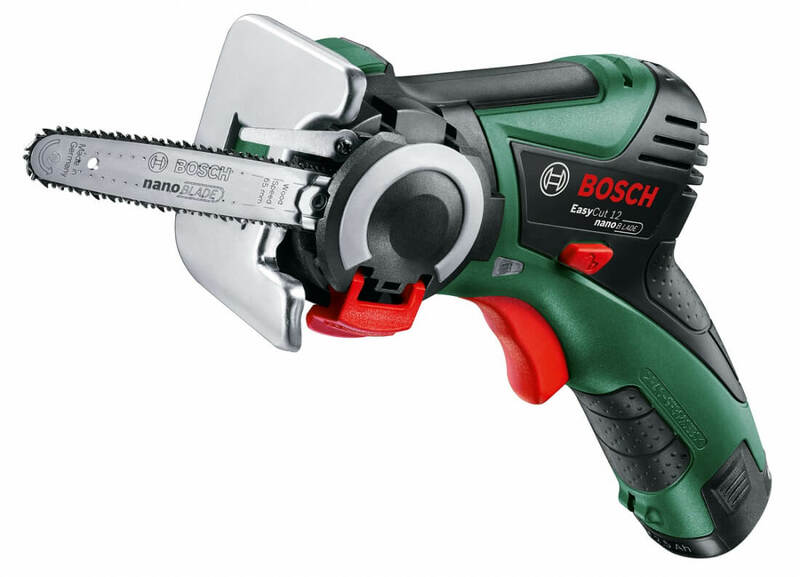 As I was saying above, this has been available for some time now however it’s not available in the USA since this tool is part of Bosch’s green line of power tools. 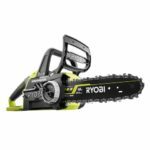 At the moment Bosch green power tools are not sold here but if you are in the UK you are in luck and probably already knew about this. I also want to mention that this isn’t the only Bosch tool to utilize the mini bar and chain. 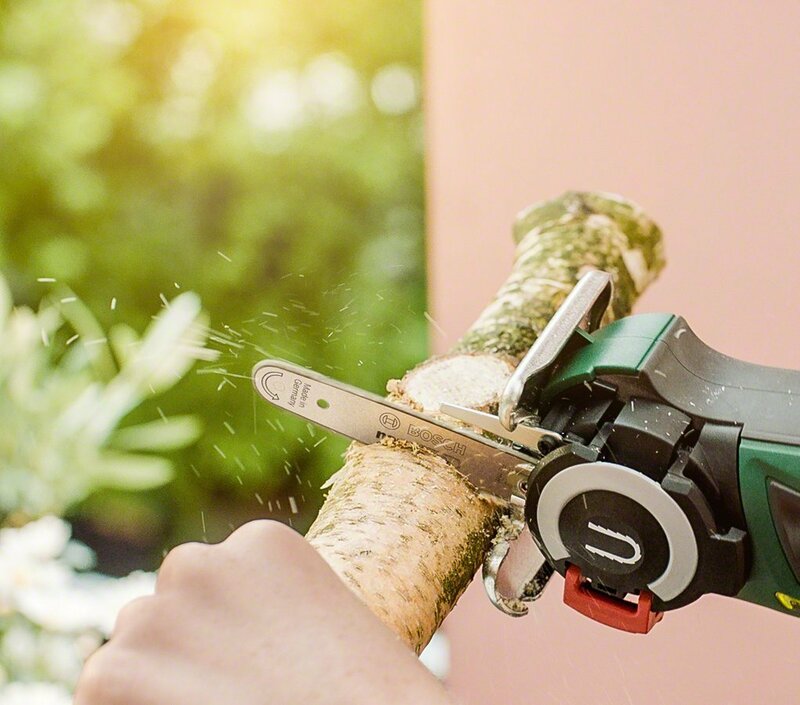 They also have a tool that resembles a corded jigsaw that uses the nanoblade called the Easycut 50 and they also have an 18V cordless tool that uses the same blade. Both tools are also Bosch green tools. I feel like there are some tools that just should have been left on the drawing board. What would you do with this? Tiny limbs and brush? Couldn’t that be done with a reciprocating saw? 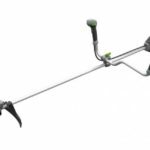 I wouldn’t buy this myself but I could see how it could be useful for pruning, particularly for those with poor joints in their hands, like arthritis etc, as recipro’s vibrate a lot. Eg; my mother can’t use a recipro for that reason.